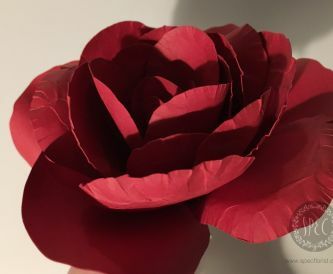 An inky background craft room find was used to make this alternative Valentine's card. It was created using shiny card with alcohol inks and cling film. A super quick Valentine's day card which took Barbara just 5 minutes to make! 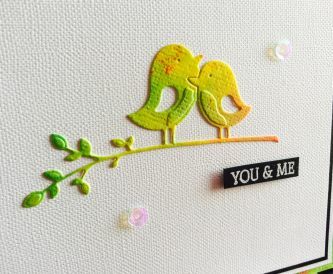 Barbara shows you how to make a simple Valentine's 'shaker' card using Papermilldirect's beautiful white hemp embossed card. Enter our Valentine challenge and you could win a voucher worth £25. The first in our new series of monthly challenges. Barbara shows you how she has made, in her words - The simplest cards... ever. Great ideas for Valentine's day. 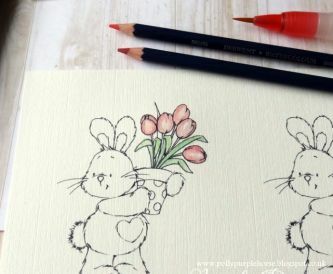 Step by Step Valentine's day card tutorial.